Built on the proven Rayner Primary IOL Platform, the C-flex is a hydrophilic acrylic monofocal IOL with 360° enhanced square edge and true, aberration-neutral optic technology. C-flex Aspheric is the 5.75mm diameter monofocal optic, manufactured in powers from +8.0 to +34.0 D and can be delivered through a 2.2mm mini incision. 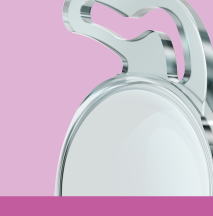 Superflex Aspheric is the 6.25mm diameter monofocal optic, manufactured in powers from -10.0 D and up to +22.0 D and can be delivered through a 2.2mm mini incision.